Crabapples are a staple food source for wildlife throughout the country. 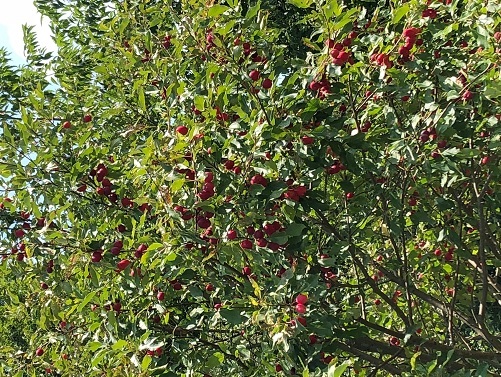 These crabapples have been selected for their ability to produce heavy crops every year. Crabapples are an ideal food source for many types of wildlife including: Deer, Turkey, Squirrel, and Grouse. Plant crabapples to create a food source that will last into the winter months and provide forage when wildlife needs it the most! The Red Jewel crabapple will consistenly produce abundant forage. The fruit will remain on the tree well into the winter months. This will create an ideal food source for wildlife when snow cover becomes deep. One of the hardiest and earliest crabapples to ripen. Produces much larger fruit than other crabapples.